Most of the population of the world is bilingual. All the students are being taught a second language in their academic subject and English is the most common of it. After becoming an autonomous, the English is taught as a communication language, in the college. The English language department of college has the facility of English language lab designed under UGC, New Delhi Scheme. It proved instrumental to simplify many aspects of language teaching. Teachers can bring out the facts and rules of language to students in an easily graspable way. It provided education plus entertainment means edutainment. All the students of graduation from all faculties blissfully enjoy English language lab facilities. 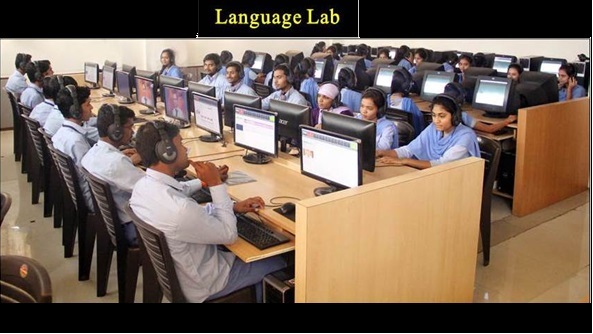 The language lab facility is financially supported under CPE I-Phase, II-Phase and III-Phase.